Barrier Super Plus Fly Repellent Spray is one of our best selling fly repellents, and has won awards from both Your Horse and Horse magazines. 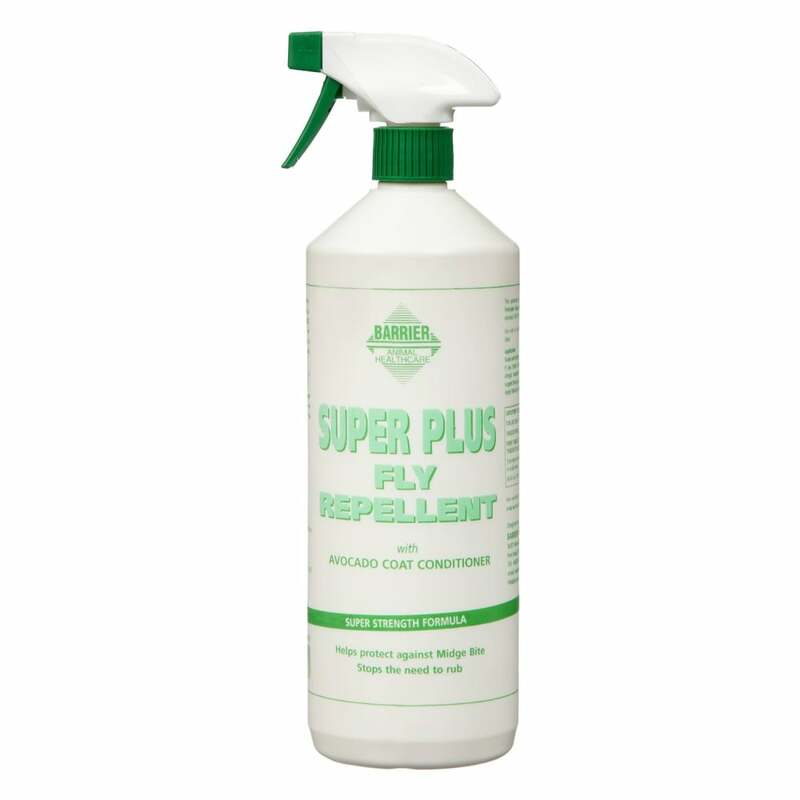 Barrier Super Plus Fly Spray is fully HSE approved and free from all prohibited substances under current FEI and HRA rules. It has a 100% natural formula which repels many flying insects including midges, bots and horse fly, and stops the need to rub. Barrier Super Plus Fly Spray can also be applied to areas irritated by bites and contains avocado to condition and nourish the skin.